At Woodhouse Grove, we see Maths and Computing as languages. They enable us to communicate, to explain phenomena in the world around us and to solve real-life problems. The Maths & IT faculty provides students with a toolbox of strategies which can be used in all areas of academic life and beyond the school gates. From proficiency in key software programs to interpreting graphs, our aim is to provide relevant learning experiences and opportunities for our pupils to develop transferable skills. Whether it is programming a Lego robot to complete a series of tasks or designing the tallest possible tower from a single sheet of A4 paper, Woodhouse Grove pupils are encouraged to be creative, to experiment with ideas and learn from mistakes. Every Grove student is encouraged to fulfil their academic potential. Extension activities are provided to stretch those already meeting their target grades and support is available for those not yet at that level. 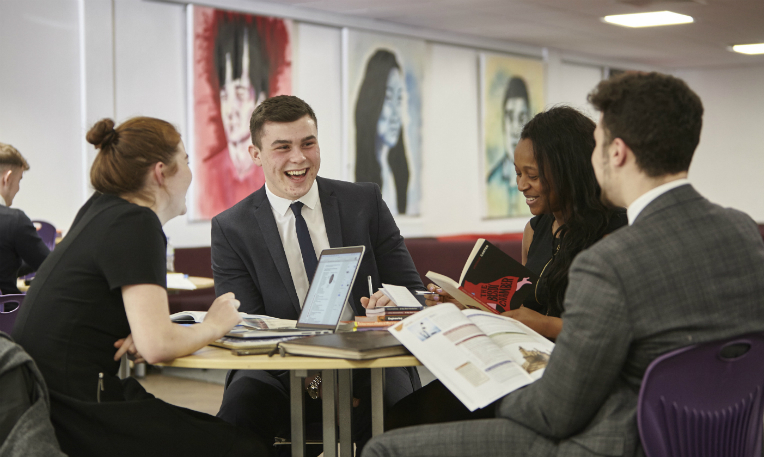 Sixth form subject mentors plus teacher-led support sessions at lunch and after-school provide opportunities for all pupils to seek individual help when it is needed.